Did you know Uluru has a more mysterious big sister? 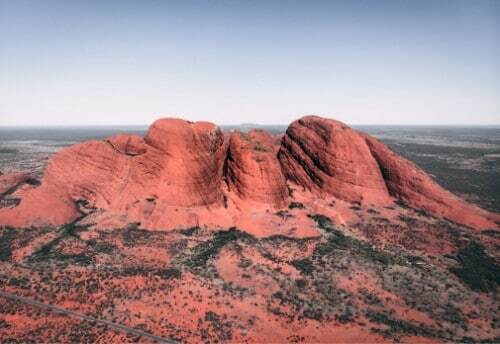 Her name is Kata Tjuta and not many visitors to Uluru know about her until they get there. We were like those people. 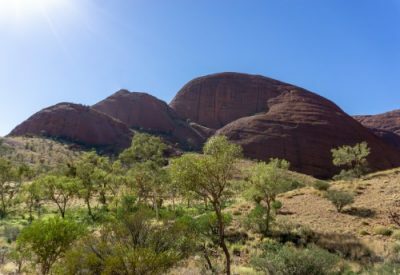 The Red Centre is so popular because of the sacred Uluru and the history/stories that surround it that Kata Tjuta is often overlooked but in fact, Kata Tjuta holds some secrets of her own. 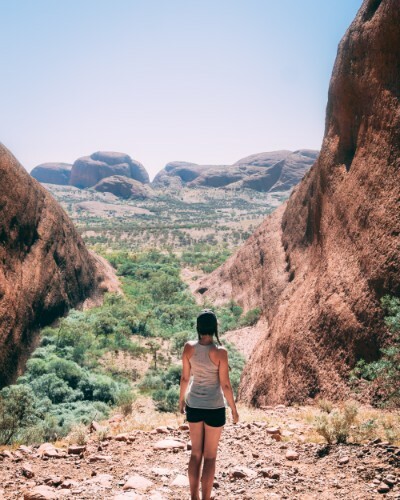 We spent the day walking around Kata Tjuta and you know what, if you don’t take the detour away from Uluru, you’re seriously missing out. 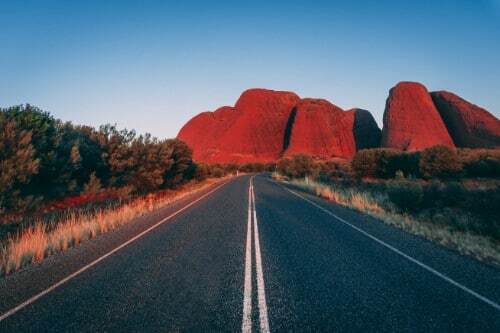 Kata Tjuta is a cluster of 36 dome-shaped mountains, similar to Uluru. They’re more commonly known to non-aboriginals as ‘The Olga’s’, though this is becoming the less popular name for them. 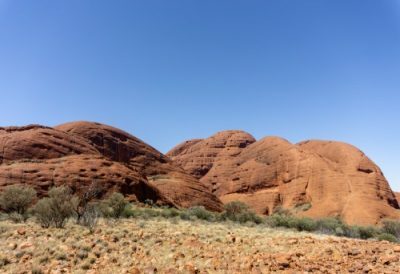 Like I said, before our visit to Uluru-Kata Tjuta National Park, I had no idea what else was near Uluru but it turns out Kata Tjuta is actually far more sacred than Uluru in terms of Dream Time stories and ceremonial celebrations. 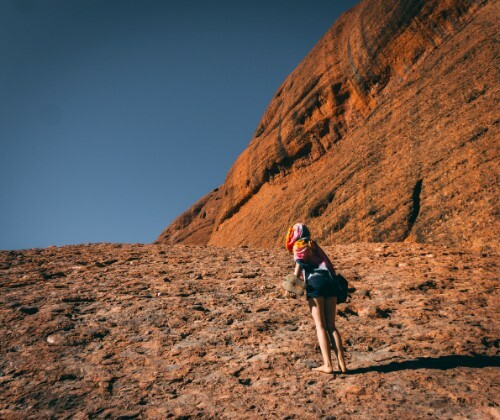 Don’t expect Dream Time tales at Kata Tjuta, the stories linked to the spirits that live here can only be told and heard by Aboriginal men so unfortunately, the only thing you’ll find here is a 7.4km walk, plenty of amazing scenery and maybe even a rock wallaby or two. Is the Valley of the Wind walk worth it? In short, yes. 100%, but that doesn’t make for a good post now, does it? So here’s our account of the day so you know exactly what to expect from this walk! The most important thing you need to know is they close this track at 11 am if the daily forecast is due to hit 36’. With that in mind, we were up bright and early on our second day at Uluru national park (here’s what we got up to on day one) because we didn’t want to run the risk of not being able to complete the Valley of The Winds walk. I’d heard some amazing reviews about it and while it wasn’t as long of a walk as the previous day, at a measly 7.4km, the Valley of the Winds difficulty rating was a lot higher at a grade 4. This meant that the track would be unmarked in places as well as steep with plenty of steps/slopes to climb… did we put on our hiking boots to ensure a comfy walk? Nope! 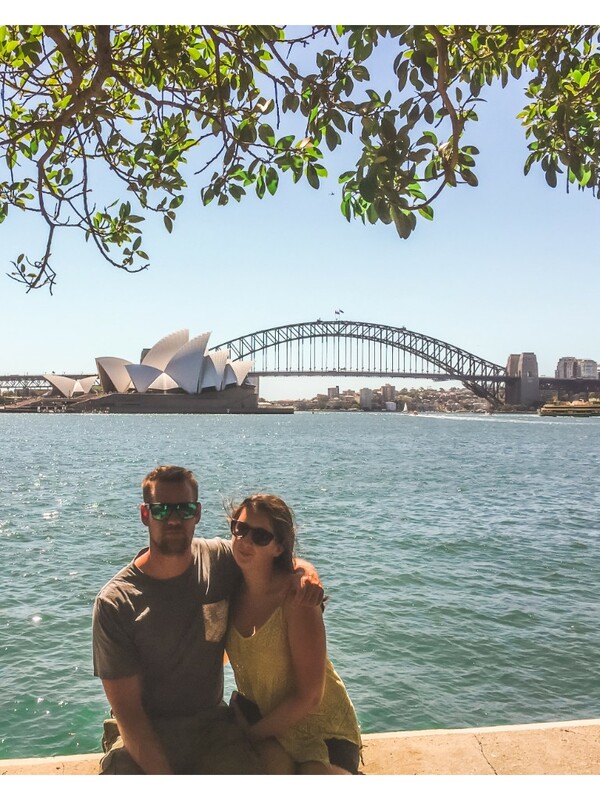 We did this in flip-flops too… Does this make us ‘proper Aussie’ now? We reached the car park by 7 am and were amazed at how many cars were there, everyone must have had the same idea; do the walk early and beat the heat. 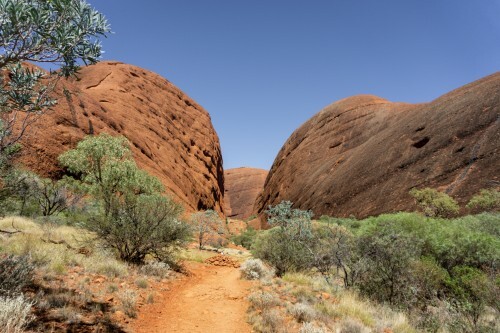 The Valley of The Winds walking track is estimated to take around 3-4 hours and unlike the Uluru Base Walk there are 2 water points on the track as well as one at the car park – they do, however, all taste like dirt so remember to bring something to add to it for flavour. We carried 3 litres with us again as well as the mandatory snacks of dried fruit and nuts. 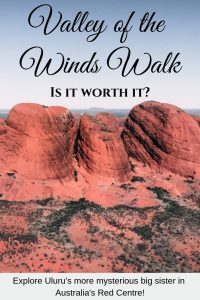 Is the Valley of the Winds walk worth it? What do you think? From the car park, it took us about half an hour to reach Karu Lookout, this is the first lookout Kata Tjuta national park and perhaps the busiest. It was a pretty walk from the car park but it made it known from the start that it wasn’t going to be an easy walk around Kuta Tjuta, loose stones lead the way making me wonder if flip-flops were such a great idea, after all, considering my dodgy knees and sensitive ankles, but we plodded on anyway. There was a bit of a crowd at this lookout. Karu is where Valley of the Winds loop ends too so there was a mix of people just here for the first view and people just returning from the 7.4km walk; some claiming it only took them two hours (in hindsight, they were either lying or they didn’t stop to admire some of the beautiful views). I’m not gonna lie though, seeing the crowds at the start of the track made our heart sink a bit. After such an amazing walk at Uluru with no-one around, we’d kinda hoped for the same thing at Kuta Tjuta. Thankfully it seemed a big majority of the crowd were happy with the mini insight into what Kuta Tjuta has to offer and didn’t even attempt to go any further than Karu Lookout. It’s worth noting that it’s here that the track closes at 11 am if the daily forecast is 36’c or more. You’ll be able to reach the first lookout, but no further. Once we left Karu Lookout we had a choice to either go East around the Valley of the Winds or West. The west section is rated a 3, while the east was only rated a 2, heading east would mean we’d be walking the hardest part of the track in the hottest part of the morning… so we tackled the beast head-on at 7 am. And that’s pretty much where the challenge began. Yep. Kuta Tjuta threw everything she had into the very first section. Leaving the level ground behind, we followed the little blue arrows on the rocks – the only navigation we would have for the whole day – upstairs over boulders and up some pretty steep/slippery rocks. At one point I even took off my flip flops because it was easier in barefoot; even if this meant getting funny looks from walkers going in the opposite direction and Asian tourists taking photos of our feet. 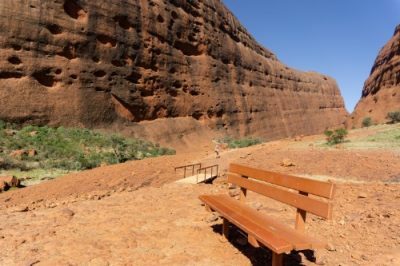 The Valley of The Winds trail takes you through the centre of Kuta Tjuta and while the walk earns its grade 4 difficulty the views were beautiful. Because it twists with the rocks as opposed to around them, we were treated to a completely different perspective with every turn; one minute we were at the top of the gorge looking out over the valley and moments later we’d be at the bottom, look up at the rocks. The second lookout is Karingana, and if there’s still a bit of a crowd by this point, they’ll unlikely follow you the rest of the way. Karingana gives you perhaps the best view through Kuta Tjuta gorge and it’s here that the track gets a little easier but there’s a lot less shade and ‘less to see’ (we disagree but that’s what a lot have said) so we found a lot of the visitors were walking this far then turning around to go back the way they came; why anyone would subject themselves to that walk twice was beyond me though. The first water point is located about 200m after you turn right from Karu towards Karingana. The track at this point is ok but you’ll really want to stock up on water here as the next water station is at the other end of the track. Leaving Karingana, once we reached the bottom of the valley we were pleased to see that the track was much more level. There were built in steps instead of rock climbing which made dealing with the heat a little more bearable. We’d been walking for around two hours by this point and it felt like we’d left the world behind us at Karingana. The rock formations opened up in front of us to show the vast valley and plains beyond Kata Tjuta. And although you can’t see Uluru from this angle, it’s still a sight worth walking for. 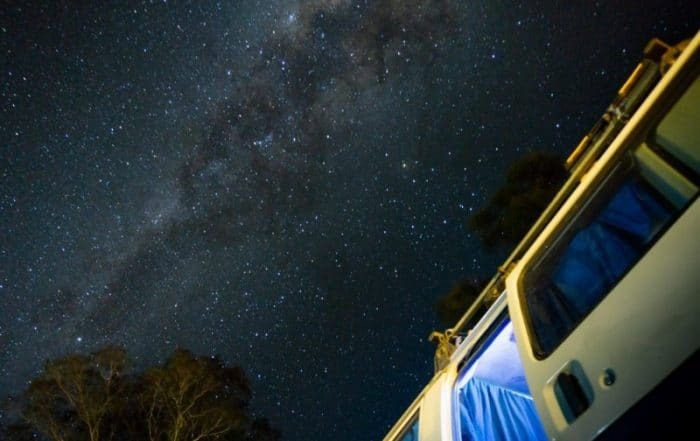 Unlike Uluru, none of Kata Tjuta National Park is restricted in terms of photography. 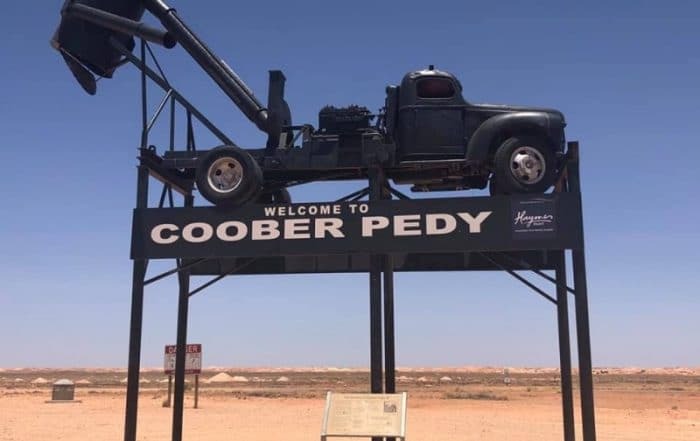 Something that I found odd, considering it’s in a way more sacred than Uluru. There are, however, restriction on climbing the domes. The path might disappear in places but if you take a moment to find the arrows there’s no need to wander off course up the rocks. Walking the back section of this walk was really interesting, it gave you an alternative view to Kata Tjuta that those who stay at the lookouts won’t get. Being able to watch the rock change colour as the sun moved in the sky, in a similar way to Uluru, was a reminder of how magical this place is. There wasn’t really much to report on throughout this section, other than how amazingly far you can see from the track. I’ll let the pictures speak for themselves. How long does the Valley of the Winds walk take? You’ve probably guessed by now that we don’t rush on walks like this. We reached the final water station about 3.5 hours after starting the Valley of the Winds walk, then reached the car park a little over 11 am. 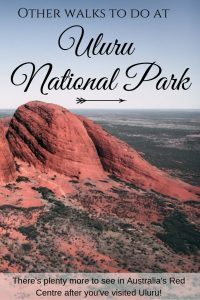 So in total, we spent about 4 hours at The Valley of the Winds walk in Kata Tjuta National Park; including any and all stops for snacks and photos. I have no doubt that someone who’s an avid hiker (with the right shoes) could easily complete this in a shorter time, maybe even half it but why would you want to? Like I said at the start, this walking track is rated a 4. This means it’s a pretty uneven track with plenty of ups and downs plus minimal path markings. Was it really that hard? No. The hardest part of the track was at the second lookout where the path goes at a 90’ angle. Depending on which way you’re going will depend on if that’s a steep incline or a steep decline. We went anti-clockwise around and ended up going up the steepest section. After seeing several people bum-slide their way to the bottom, I actually think we chose the easier way. The rest of the track was pretty average, lots of loose stones and plenty of steps. Throw in very little shade for two hours and it’s a walk requires you to pack a few essentials: Water, a Hat, cover for your shoulders, snacks. So overall is The Valley of The Winds worth it? Absolutely. 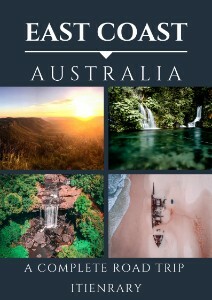 Even if you don’t know anything about the area (we didn’t), you’ll not regret it. 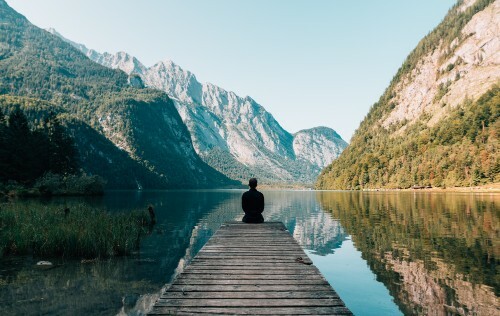 Nothing beats seeing new places and getting immersed in nature all at the same time! 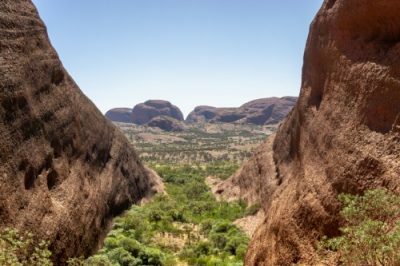 Have you heard of Kata Tjuta? Have you been? 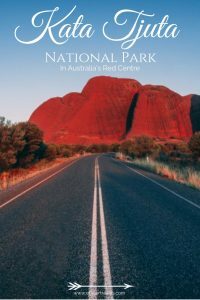 Let us know your thoughts on Kata Tjuta National park in the comments or head over to facebook!! Want a sneak peek of what’s to come? Become a member, support our work and get more exclusive content as well as early access to our next post – Things you need to know about Uluru before you go! Related posts we know you’ll love!